Alicia Elliott is a Tuscarora writer from Six Nations of the Grand River living in Brantford, Ontario with her husband and child. Her writing has been published by The Malahat Review, The Butter, Room, Grain, The New Quarterly, CBC, Globe and Mail, Vice, Maclean's, Today's Parent and Reader's Digest, among others. She's currently Creative Nonfiction Editor at The Fiddlehead, Associate Nonfiction Editor at Little Fiction | Big Truths, and a consulting editor with The New Quarterly. 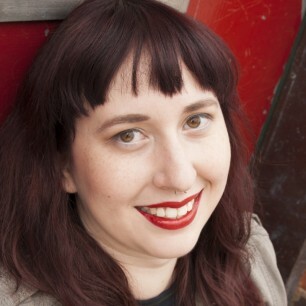 Her essay, "A Mind Spread Out on the Ground" won Gold at the National Magazine Awards in 2017, and another of her essays, "On Seeing and Being Seen: Writing With Empathy" was nominated for a National Magazine Award in 2018. She was the 2017-2018 Geoffrey and Margaret Andrew Fellow at UBC, and was chosen by Tanya Talaga to receive the RBC Taylor Emerging Writer Prize in 2018. Her short story "Unearth" has been selected by Roxane Gay to appear in Best American Short Stories 2018. Alicia is also presently working on a manuscript of short fiction.